A mean pleaded guilty after causing a collision while driving drunk. Central Islip, NY - January 28, 2014 - A Sag Harbor man pleaded guilty today at a Central Islip court conference to a seven count indictment charging him with two counts of vehicular assault in the second degree, assault in the second degree, assault in the third degree, two counts of DWI, and reckless driving for causing the collision on Route 114 in East Hampton Town last July that seriously injured a six year old boy, Suffolk County District Attorney Thomas Spota said. William Hurley, 60, of Sag Harbor, was driving his Toyota pickup truck with a .14 blood alcohol level when he swerved into oncoming traffic and collided head-on with a BMW driven by Elizabeth Krimendahl, 53, of New York City. She suffered a leg injury; her son, in a child seat in the backseat of his mother’s BMW, was hospitalized with skull injury. “The defendant, who was driving all over the highway crossing over the double yellow line several times prior to the crash, told East Hampton Town police officers that he was tired, and admitted at the scene that he consumed two drinks made of Vodka and Grapefruit Juice, drinks that he described as “strong ones”,” District Attorney Spota said. The defendant, described by police as having “glassy, bloodshot eyes” and smelling of alcohol, said he thought he fell asleep at the wheel, DA Spota said. State Supreme Court Justice Fernando Camacho made a sentencing promise today after Hurley’s plea of guilty to sentence him to two years’ incarceration and two years of post-release supervision. 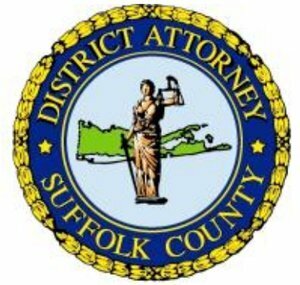 Subject: LongIsland.com - Your Name sent you Article details of "Sag Harbor Man Pleads Guilty To DWI, Vehicular Assault & Other Crimes for Causing East Hampton Town Crash"